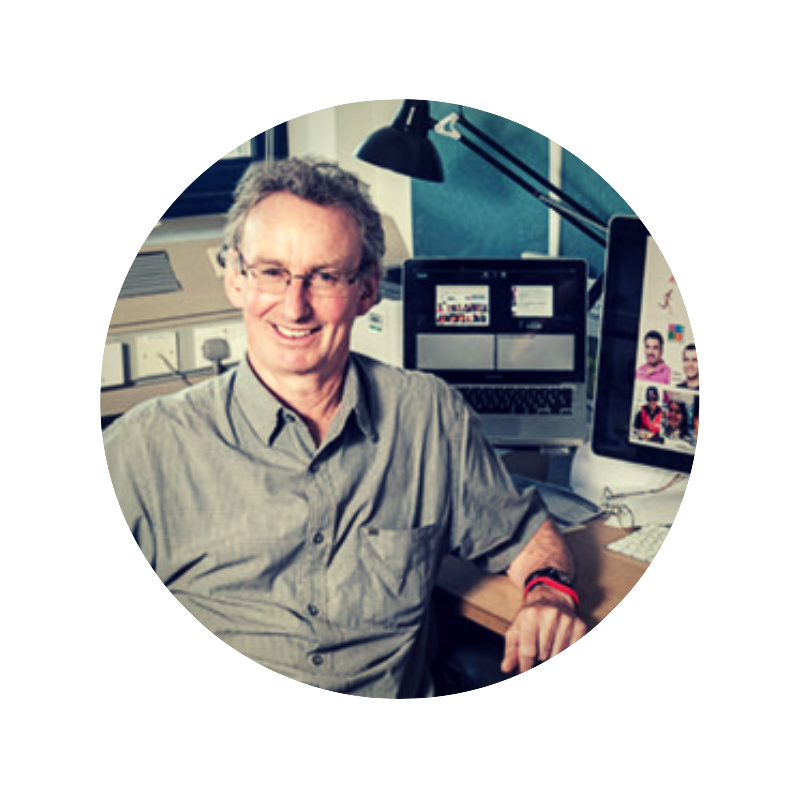 Jonathan D. G. Jones, Ph.D. FRS is a Professor at the University of East Anglia, a molecular plant scientist at The Sainsbury Laboratory & is on Grow More Foundation’s Scientific Advisory Board. He has made distinctive contributions to understanding how plants resist disease, and to how pathogens circumvent host immune mechanisms. Few scientific topics are as controversial as Gm technology, used to manipulate the genes of food and other crops to make them resistant to diseases and pests, tolerate poor growing conditions, or to increase their nutritional value. GM is actually a method, not a thing. It's very important to bear that in mind and the method enables you to take DNA sequence from essentially any organism and use the properties of a bacterium called agrobacterium to deliver that DNA into a plant cell. If that DNA carries a gene that serves a useful purpose, for example enhances crop resistance to insects, then you can get a plant back that has properties that you could not have achieved by plant breeding. So, can you give me some examples of this? What sort of properties have been given form the outside by this technology? Well, two most abundantly used examples are firstly to use a gene from a bacterium called Bacillus thuringiensis which is often used by organic farmers. It contains a so-called crystal protein that's toxic to larvae of many insects. The plant is engineered to carry in its cells the gene that makes these proteins. So, the protein is made in the plant and anything that eats the plant that is susceptible to that protein doesn't thrive or dies whereas insects - and this is very important - that don't eat the plant are completely unaffected. And so, this is much better as a way to control insect pests than applying insecticides from sprays or airplanes or combines or whatever, because you get much less collateral damage to non-target insects. It only kills the insects that eats the plant. Approximately, 400,000 tons of insecticides - we're talking nasty neurotoxins - have not been applied that would otherwise have been applied to control insects. And that's an enormous benefit that's built up over the last 20 years of cultivation of GM crops. So, this all sounds like a good thing in theory, but is there any, for example, if you have a crop that's been engineered, to have a bacterial toxin in, I'm going to be eating that crop if they make any food from it. Is there any risk to human health from that? Well, with respect to Bt, like I say, organic farmers apply Bt. There's no credible mechanism for any hazard to human health. There's never been any evidence that it causes any damage to human health. So no, not a problem. What are some of the things that scientists are now working on now, these kind of characteristics that we could engineer into crops? The scope for improvement of crops in many, many different ways, some more near-term and some more distant. Near-term - some of your listeners may have heard about a trial of GM Camelina which is engineered to produce the long chain polyunsaturated fatty acids that are present in fish oil and very good for vascular health. There's just not enough fish in the sea for us all to get enough of this stuff. These compounds are only made in algae that were eaten by little invertebrates that were eaten by little fish, that were eaten by big fish that we eat. But now, it's possible to make these compounds in an oil seed. This would greatly improve the environmental sustainability of fish farming and increase the supply of these compounds in our diet. So, that's a good thing. My own work, we're working on potato late blight resistance as other research is elsewhere. Potatoes are sprayed 15 times a year for late blight. It is expensive increase of cost in production and potentially damaging, tractors going up and down, CO2 costs, and so on. So, if we can make the plant resistant to disease by moving in genes wild relatives of potato into the cultivated potato then we could save a lot of environmental impact. And that same principles can be applied to many other diseases of many other crops. So longer term - there are credible approaches to increase drought tolerance, to increase salt tolerance, and farthest off in the future of all, trying to engineer nitrogen-fixing versions of crops like wheat and barley, and maize. So, you wouldn't need to add fertilisers. They kind of make their own fertilisers from their roots. That's right. So, if you look in Africa, one of the major constraints on crop yields is lack of availability of nitrogen. There's hardly any fertiliser factories in Africa. So, if you could get the plants to fix nitrogen from the air themselves without any need to supply exogenous fertiliser, that would be a good thing. GM technology is one way of getting genes into things, of changing the genes of an organism. Could the kind of changes you're talking about not be achieved in other ways? Why is GM (genetic modification) the only way to do some of these things? Plant breeding is really great. Plant breeding is going on. Plant breeding has improved in efficiency enormously by the advent of new sequencing technologies - to suggest it's a matter of either GM or plant breeding is a completely false antithesis. So, both have contributions to make. The problem with just breeding them in, as you breed them in one at a time, if you've only got one resistance gene, it's easy for one mutation in the pathogen to overcome that resistance. Also, when you bring in genes by breeding, you bring in big chunks of chromosome from the wild relative, not just the gene you want. Compare, if you will, a scenario where you clone multiple resistant genes from different wild relatives. And then you got the cloned DNA, you can stick them together so you can put in 3 genes at once. You leave behind all the other bad alleles of other genes that actually decrease yield and that is a much better way to give you sustainable disease resistance than bringing in these genes by breeding. Particular benefit is, once you've got 3 genes stuck together by recombinant DNA then they can't be broken up by plant breeders whereas if you bred in 3 different genes and they're in different places in the chromosome, of course, once you got a variety, a plant breeder will start crossing from that resistant variety into their own they will separate all those genes and then they can be picked off by the pathogen. But once they're ligated together, they can't be separated. So, that's a good illustration of why recombinant DNA is better than plant breeding in this particular example. But also, why it's very important to preserve genetic diversity so we've got biggest possible resource of diversity to mine for new sources of resistance to important diseases. If you look on something like social media, often there are criticisms of some of the big agricultural companies that are dong genetic modification. And the seems to be a fear or the idea that it's bad or risky, or that by involving big business in this, it's somehow suppressing farmers or is it a bad thing for the world. How would you answer some of these criticisms? I think that the technology is usually a surrogate for people's other concerns. You know, the technology becoming a lightning rod for people's legitimate questions about, is it a good thing for only a few companies to control the germplasm on which this world's food supply depends? That's an important issue. I wouldn't contest anybody who's concerned about that issue, but it's nothing to do with GM. The right discussion to have is, what kind of agriculture do we want? What kind of genes do we want to put in? Are we putting in the right genes? Could we make better choices about how they are deployed, and so on and so forth? We actually have an urban population that is profoundly ignorant of how hard it is to produce food. The real difficulty is, that in the media, everyone's attention span, including journalists is so short you can't really develop a complex argument. Everybody just wants to deal in very simple sound bites that actually are gross oversimplifications of the problem or the solution.